Julian Burnside QC practises principally in commercial litigation, trade practices and administrative law. While maintaining a strong commercial practice, Julian has also developed a distinguished public law practice. He regularly appears in both first instance and appellate proceedings in the Supreme Court, and the Federal Court in Victoria and across other states. He also appears in the High Court of Australia. Julian's landmark cases include successfully appearing for the Plaintiff in Trevorrow v. South Australia which was the first time a court recognised membership of the 'Stolen Generation' as a basis for legal compensation. He also successfully appeared before the Federal Court and in the High Court for the Maritime Union of Australia in the Patrick Stevedores v MUA litigation (the 'Waterfront Dispute'). In recent years Julian has become one of Australia's leading advocates in relation to Australia's treatment of asylum seekers and the protection of human rights and is also an accomplished author. 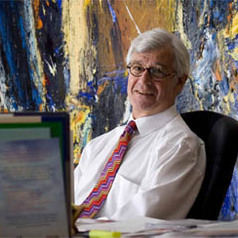 In 2009 Julian was awarded an Officer of the Order of Australia (AO) for his work as a human rights advocate, and for his services to the arts and the law. In 2014 he was awarded the Sydney Peace Prize.